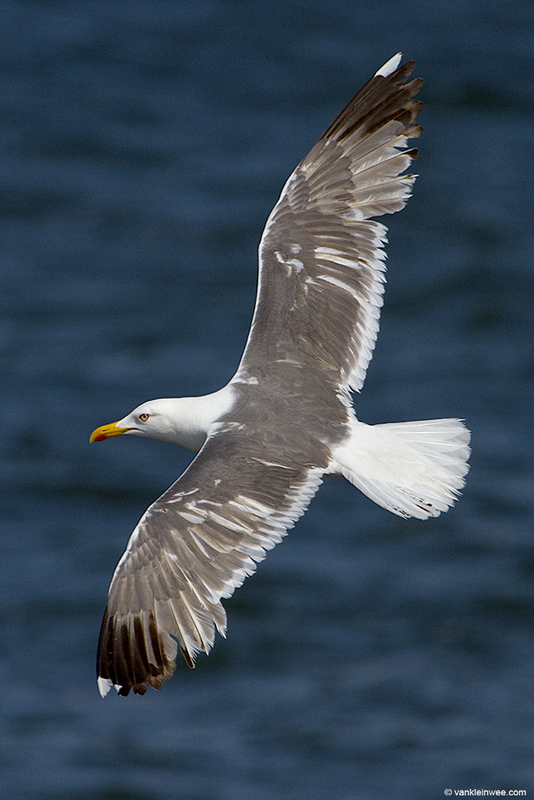 One of our most interesting observations during the breeding season at the gull colony of IJmuiden (Forteiland), the Netherlands was done during our very last colony visit with the sighting of Green YAXL: a leucistic, (presumed) hybrid Lesser Black-backed Gull x Yellow-legged Gull Larus fuscus graellsii (Dutch intergrade) x Larus michahellis. 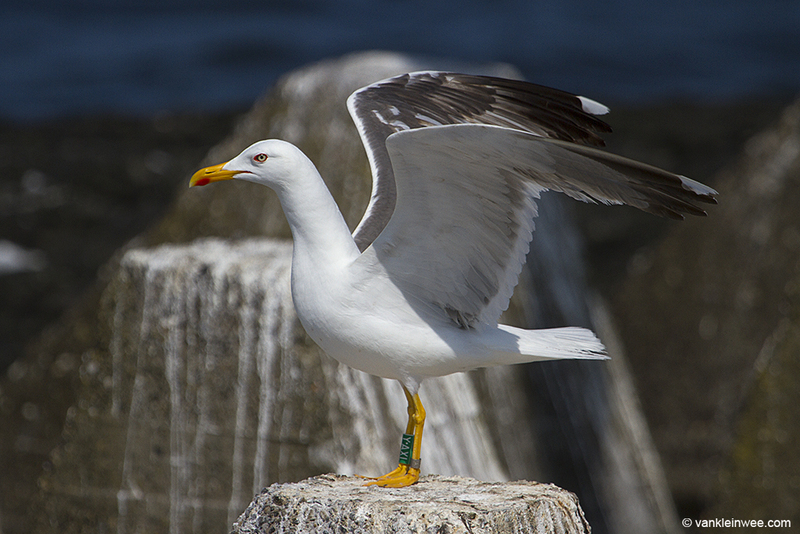 May 2016 update: After reviewing the status of this bird, we have decided to stick with ‘just’ a leucistic Lesser Black-backed Gull instead of a hybrid. 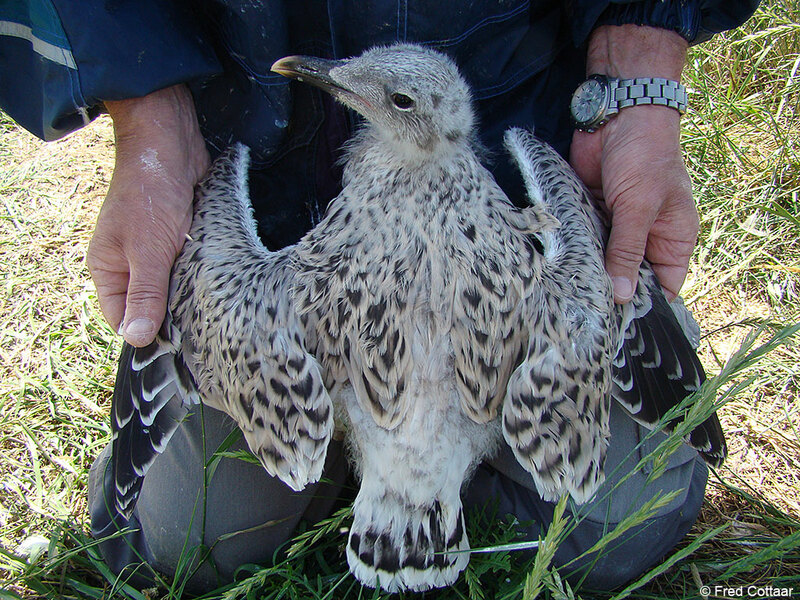 Now in its 5th calendar year, Green YAXL is a striking individual with leucistic coverts and primaries (note the fully white inner web of P1 in the left wing), fully white tips to P10 and bright yellow legs. 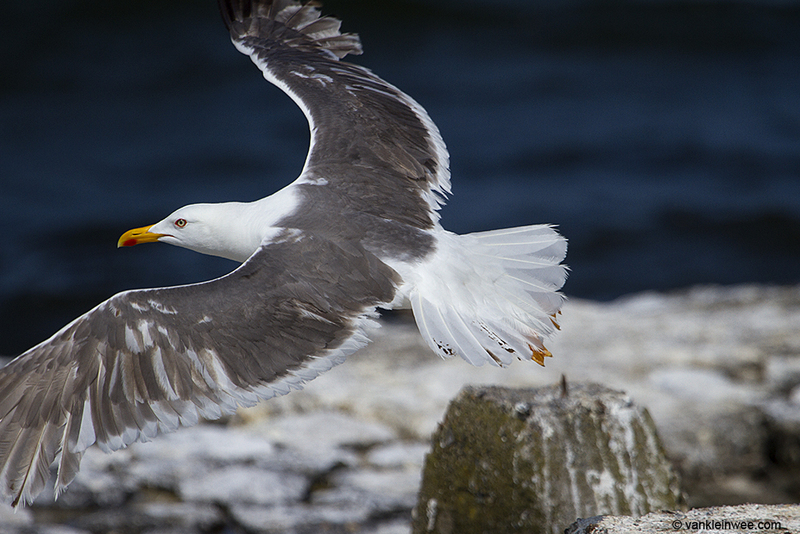 A few tail feathers show black markings which is also unusual for a gull of this age. The following images were taken on 7 July 2015. 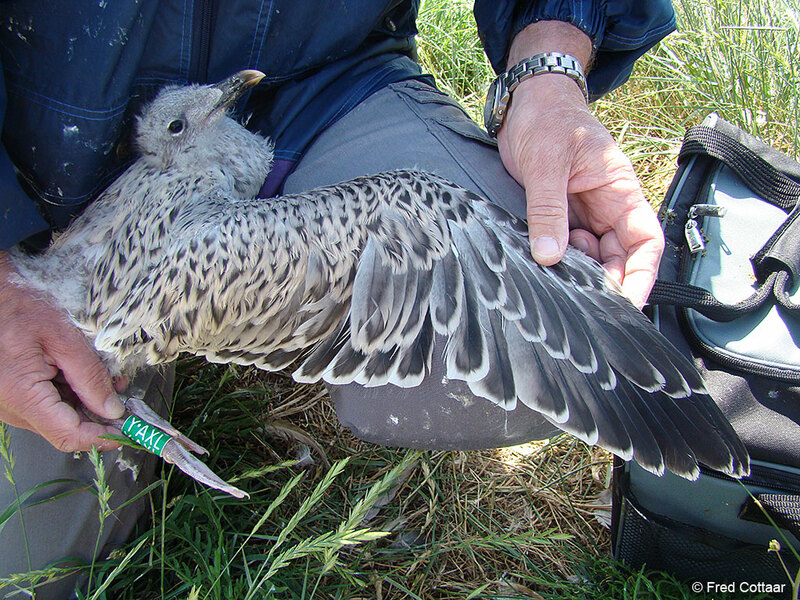 Green YAXL was ringed as a juvenile in July 2011 in the colony of IJmuiden at which time it already looked very conspicuous with broad, cream-colored fringes to the mantle feathers and scapulars. 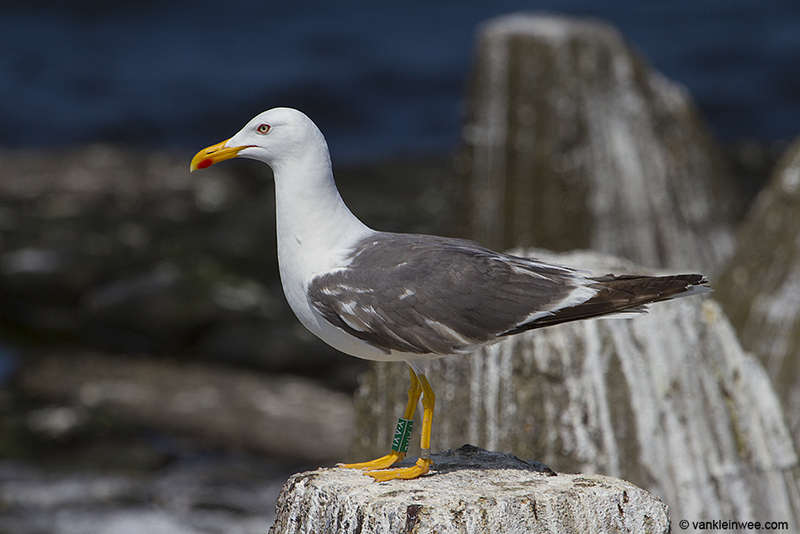 It’s parents are unknown but at least 2 hybrid Lesser Black-backed Gull x Yellow-legged Gulls are known to breed in the colony. 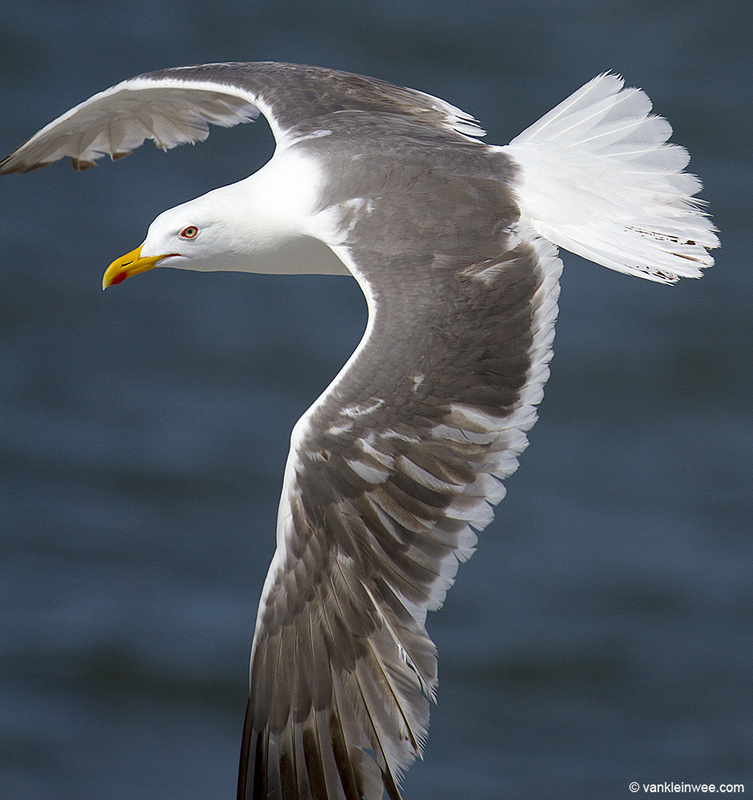 Not surprisingly, YAXL was identified as a Herring Gull but its return to the colony this year has revealed its real identity. 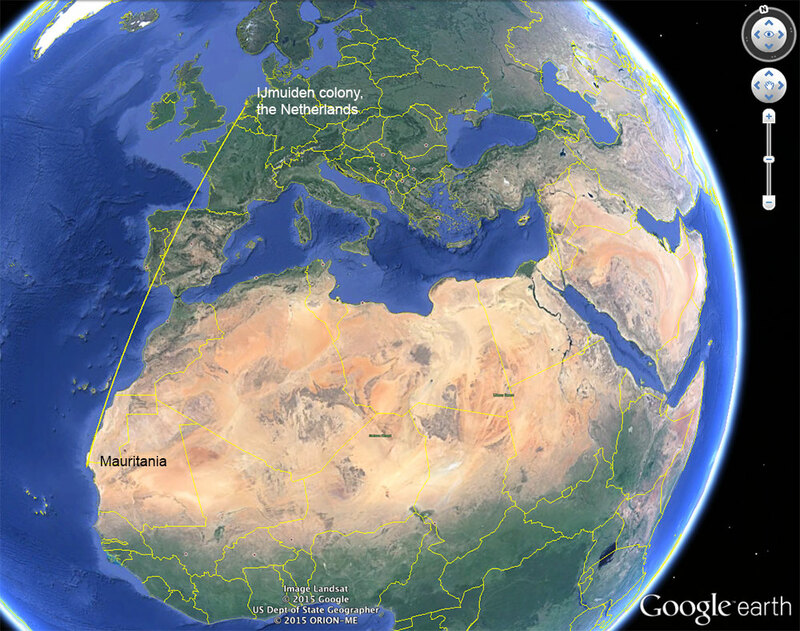 Since leaving the colony in 2011, Green YAXL has been observed on only 2 occasions, but both were made in Mauritania, West Africa in September 2014, some 4000kms south of the colony. 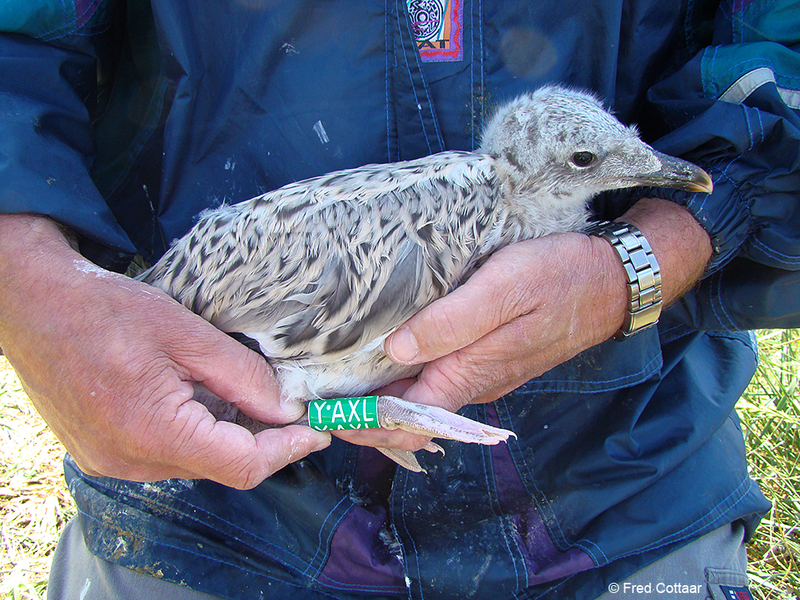 We’re hoping it will return to the colony next year for a complete breading season.